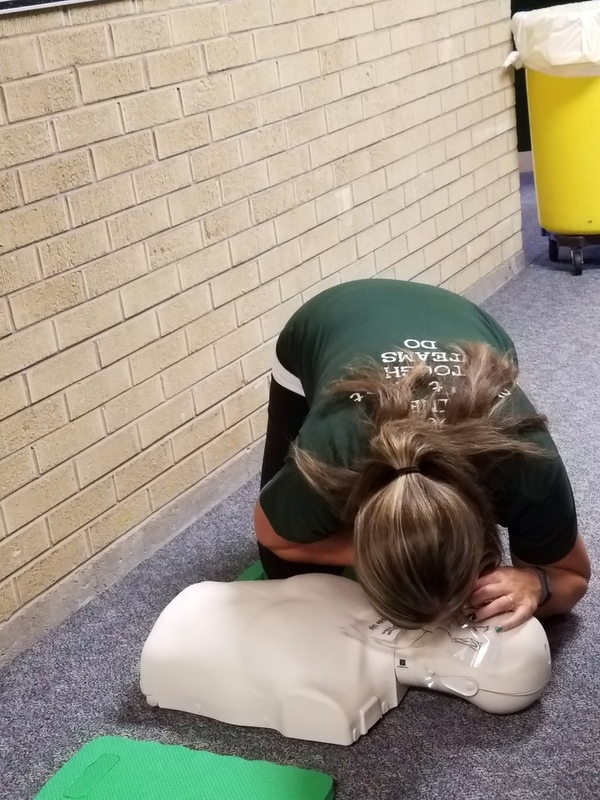 On Monday, August 13, 2015, members of the Holyoke Re-1J staff were certified in CPR and First Aid by in house certified trainers Brenda Kruger and Kim Young. These ladies provide annual training to staff members to help provide a safe place for all who enter the building. This certification included practice in CPR, rescue breathing, help for person who is choking and training on how to use the district A.E.D. The training last for two years and is required for all staff members.